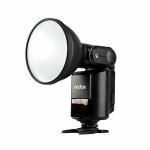 Stable Color Temperature at 5600±200K over the entire power range. One AD360II-C can overpower the sun. 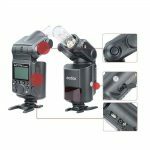 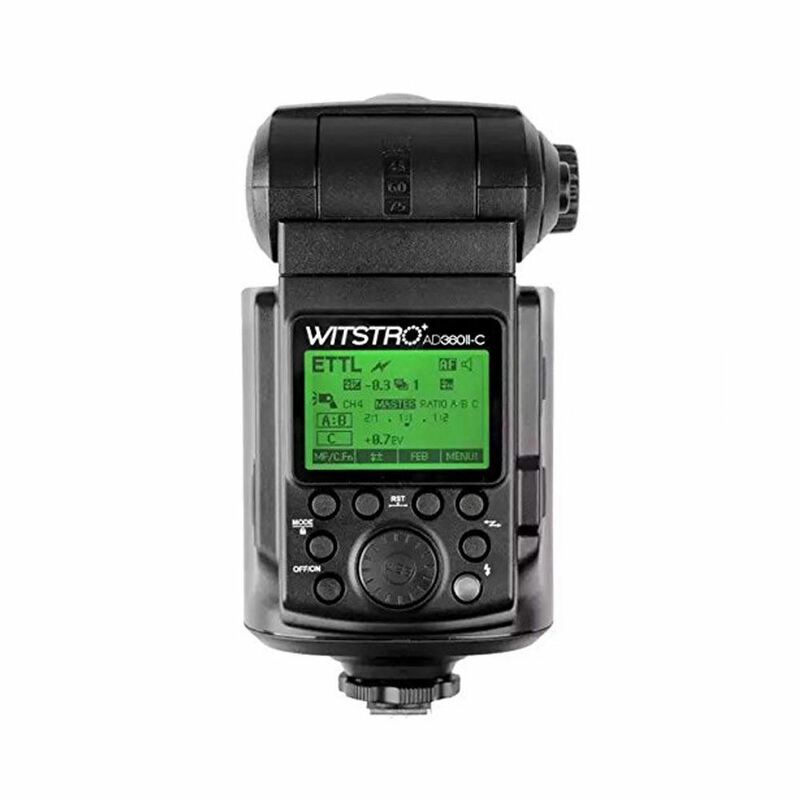 The light will automatically work with Canon E-TTL II system, or Nikon i-TTL system if a Godox X1T transmitter is mounted on the camera’s hot shoe. 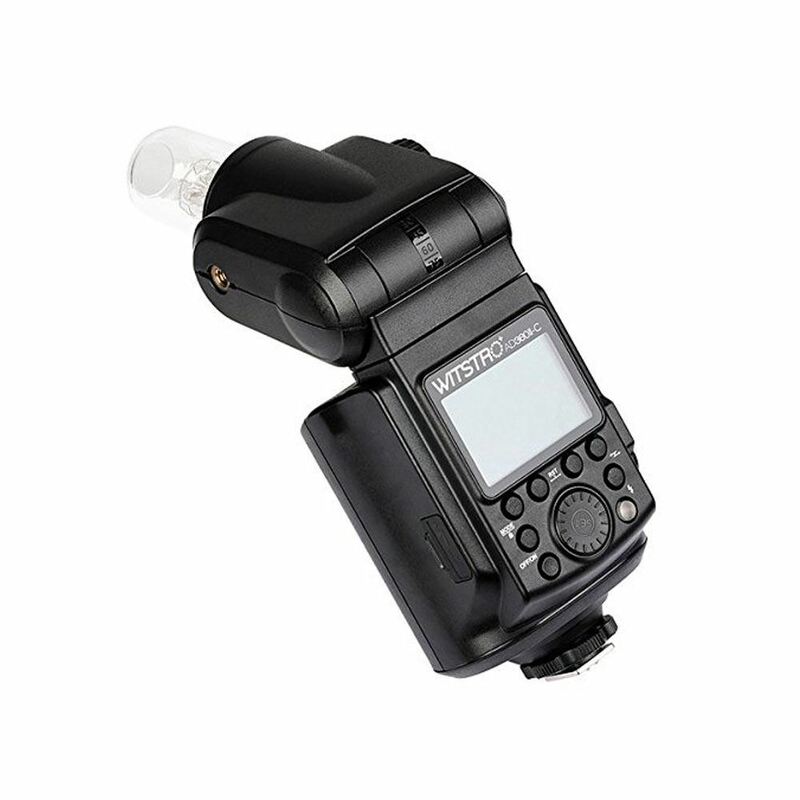 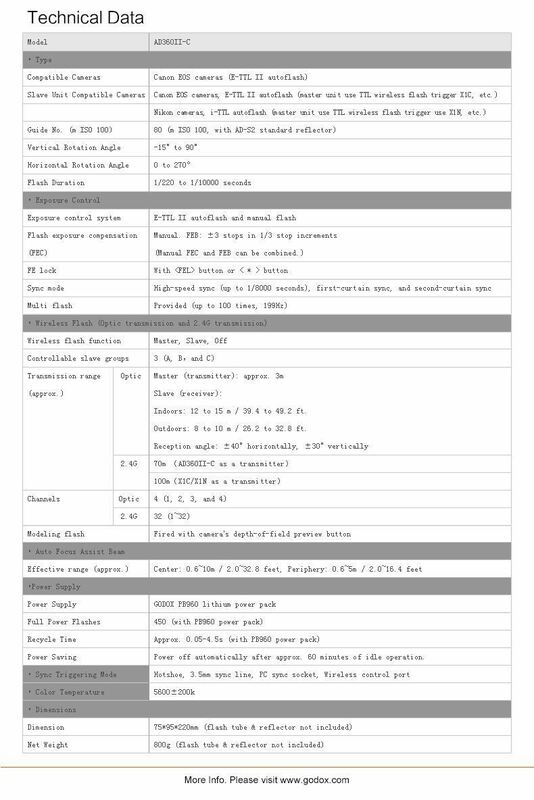 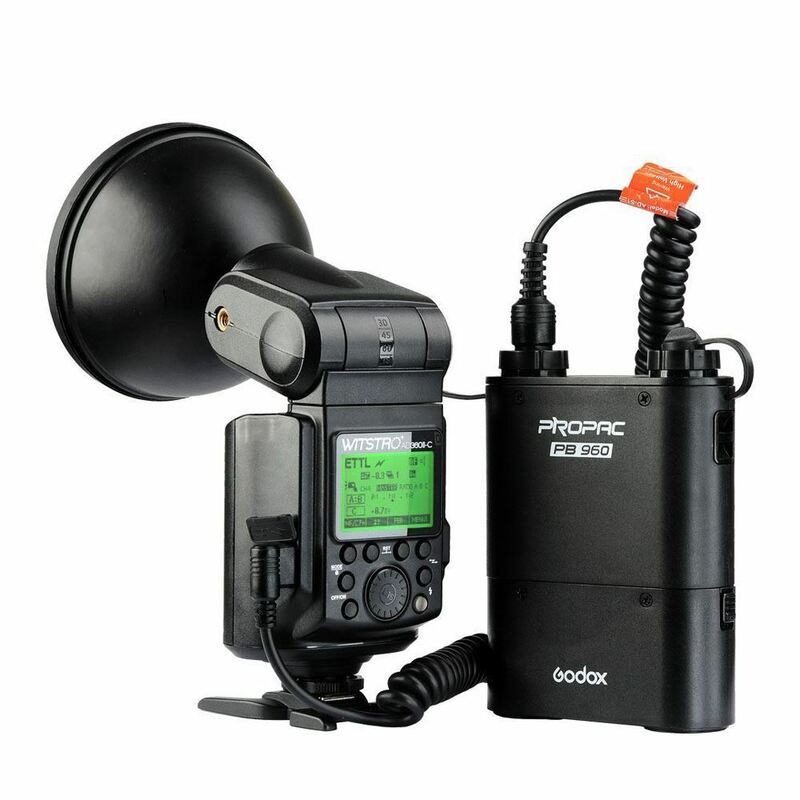 Comes with PB960 external lithium battery pack, recycle time in 0.05-4.5 seconds, support 450 times full power flashes. 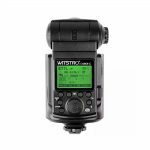 With master/slave function, the AD360II-C can work with Godox TTL flashes, TTL outdoor flashes and TTL studio flashes. 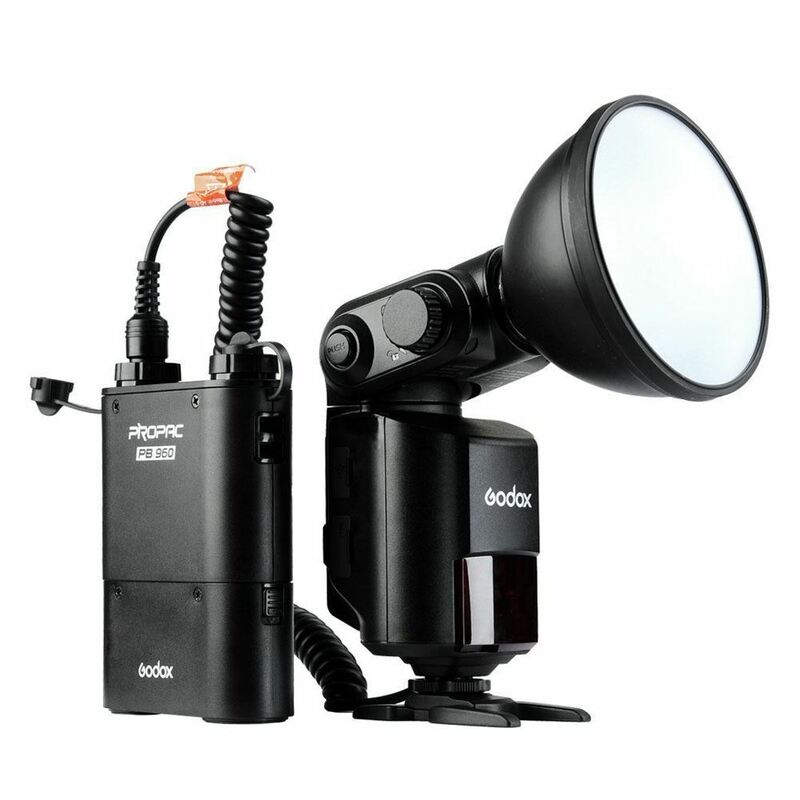 Please note the light is heavy and not suitable to be mounted on top the Camera’s hotshoe directly.